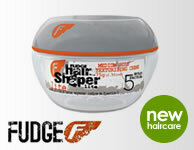 d:fi d:struct Volume Conditioner adds strength, elasticity & provides manageability to body of hair. d:fi d:struct Volume Conditioner also retains & locks in moisture to prevent frizz & fly away hair. Ideal when paired with d:fi d:struct Volume Shampoo.